Works Like: Winter Musical Events! I hope you are enjoying the snow! If it is snowing where you are; here in Ottawa it is snowing non-stop. While I'm not a fan of the cold, I have to admit it's a nice change from the rain and ice. However, apparently the weather forecast is calling for a massive storm on Friday. Which is not so fun, especially since Friday is supposed to be the apocalypse or something like that. 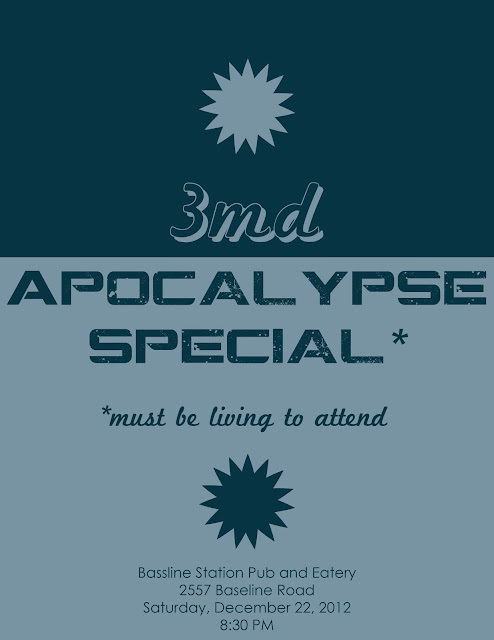 However if you do happen to survive the end of the world, I have some fantastic events for you to go to! First off is the post-apocalypse rock show at BassLine Rocks: Pub and Eatery. I've recently been informed that "3MD" will also be joined by "The Missing Link". 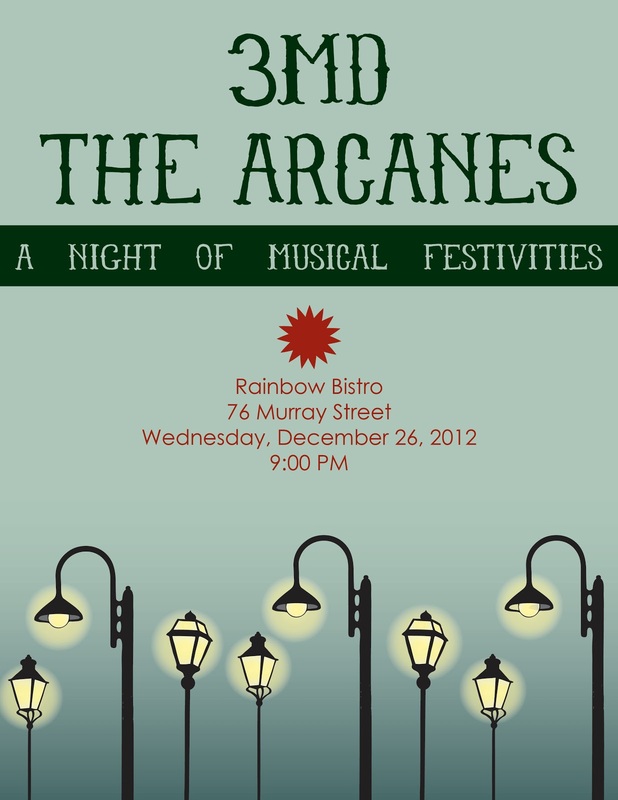 Then, on Boxing Day, 3MD and "The Arcanes" will be playing at the cozy blues bar: "The Rainbow Bistro." For more details check out the links under the posters. It's going to be a lot of fun; if you are in the Ottawa area this December you should most definitely come and check it out! What are your plans for the winter? Let me know in the comments! Have a safe and happy Winter Solstice! Mini Portfolio of Process Work!